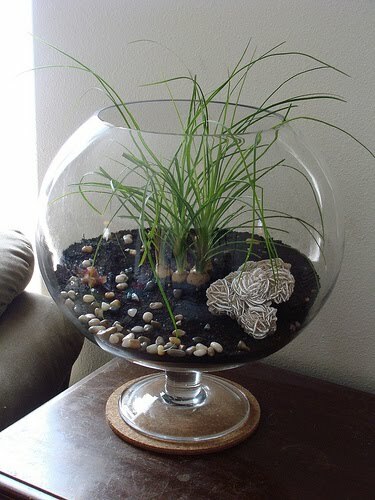 Peep this lovely "ponytail palm" terrarium over at The Crochet Cafe. The palms sort of look like green onions to me but- I do like the scale. I just bought some ponytail palm for the class we are doing this weekend in Minnesota. I was just in love with it, but hadn't used it before. So fun to see what it will look like and know it will be cute!